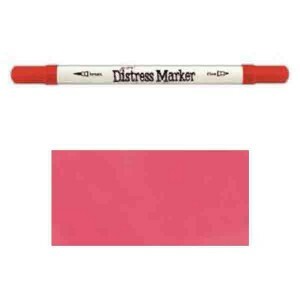 This is the Ranger-Tim Holtz Distress Marker – Festive Berries. The markers are dual ended (a brush and a detail tip) and are reactive with water like other Distress items (sold separately). Expand and enhance the creative horizon of paper crafters and mixed media artists. 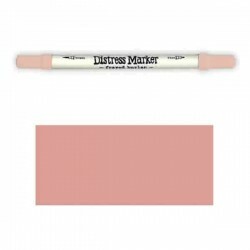 Great for journaling, stamping and more! One distress marker with a fine tip on one side and a brush tip on the other. Non- toxic. Acid free.